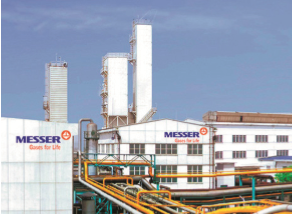 Messer Group is one of the world's leading manufacturers and suppliers of industrial gases, with 112 years' professional experience in the industrial gases industry. Messer Group manufactures and supplies oxygen, nitrogen, argon, carbon dioxide, hydrogen, helium, shielding gases, special gases, medical gases and mixed gases. Messer has various gas product lines and these gases are widely used in many industries. In order to optimize day-to-day business process management, Messer introduced a transportation management system to manage its orders and to ensure each order is properly processed. Although this system achieved some reduction in workload and standardized order management, it could not solve many specific logistics and transportation problems. 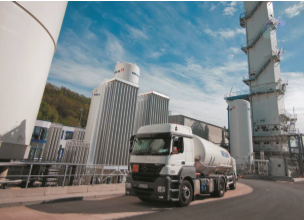 Before the Geoconcept optimization engine was introduced, Messer had schedulers preparing manual delivery plans for liquid gas tank trucks at each plant. As a result of the heavy workload and complexity, they had to stop accepting new orders before four o’clock every afternoon, and then spent 1-2 hours scheduling the orders. In the event of poor weather conditions, Messer operated special delivery routines. The manual scheduling practices could neither realize the most efficient vehicle use and vehicle routes nor ensure the on-time delivery rate. 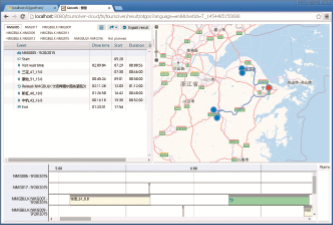 With the introduction of the Geoconcept optimization engine and assisted by vector maps covering all road details, Messer can now accurately calculate the driving speed of vehicles with various loads on different types of roads and can also automatically arrange the routes and visit sequences of vehicles according to weather conditions and pre-set road information. 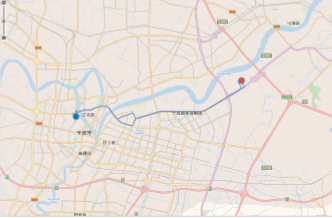 Geoconcept's excellent optimization algorithm enables the engine to work out delivery schedules for 50 vehicles and 200 customers within 10 minutes, realizing the strategic goals of shortest routes, lowest costs and best vehicle utilization, which improves customer satisfaction while maximizing company profits. OTD (On-Time Delivery) rate increased by 23%.